This is a test I created for one of my collegues.It's for young learners for topics like colours, numbers from 1 to 12 and school objects. I hope it can be useful for you, too! 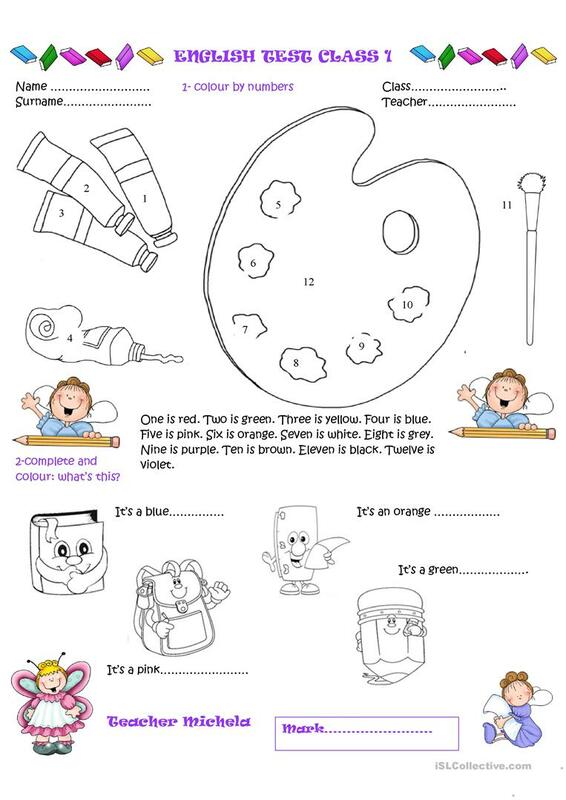 The present downloadable printable is meant for elementary school students, kindergartners and nursery school students and students with special educational needs, learning difficulties, e.g. dyslexia at Beginner (pre-A1) and Elementary (A1) level. It is excellent for strengthening your students' Reading and Writing skills. It is about the topic and words of Colours.